Anne Frank and Emmett Till lived in two different worlds: one in Nazi-occupied Europe, the other in Jim Crow, apartheid America. And yet both Anne Frank and Emmett Till were victims of cultural and institutional intolerance and racism – and a cruelty so astounding, so pointless, that it left these two children dead in its wake along with countless others. Inspired by Janet Langhart Cohen’s provocative play, and drawing on the tragic true stories of these two teenage martyrs, Anne & Emmett: the other is an immersive video game that will give students a roleplaying experience of living under the weight of violence and fear. Players will explore visually cinematic virtual environments, interact with complex characters in multiple timelines, and unlock a wealth of historic artifacts, all through the first person point-of-view of a European Jewish girl in the 1930s and 40s and a young African American boy in a racially divided 1950’s America. Anne & Emmett: the other connects lessons from past experiences of anti-Semitism and racism with the ways they persist today, and demonstrates why humanity’s capacity for kindness and compassion can prevail over cruelty and hate. 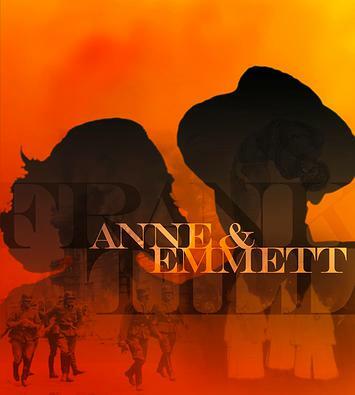 Anne & Emmett: the other is executive produced by Janet Langhart Cohen, William S. Cohen, and Race and Reconciliation in America, and is being developed by Spark Digital Media and Learning Games Network.